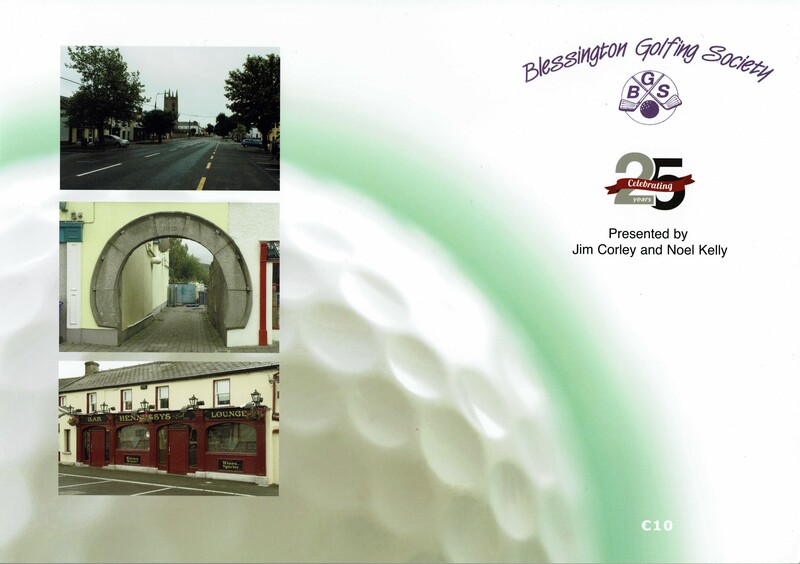 About: Blessington Golfing Society was founded in 1987 and has always been headquartered in Hennessey’s Pub in Blessington. This A4-size souvenir booklet was produced to mark a quarter-century of the society’s activities. It contains memories and anecdotes and is lavishly illustrated with dozens of colour photographs. Contents: Introduction 1 / Pat Clarke, 25th Captain – Introduction 2 / Frank O’Neill, President — Celebrating 25 Years — Fr. O’Moore, past President — The Twenty-Five Captains — [Photo Gallery] – Tribute to the late Robert Hennessy, a member & friend of Blessington Golf Society, 23rd Jan 1991 – 12th May 2011 — Jim Fennel’s Crash — Sand Bunkers — Boot Throwers Society – [Photo Gallery] – Animals on courses / Jim Corley – East Clare Fox – [Photo Gallery] – Tulfarris Golf Club – My Golf Society / Martin Hennessy – Captain’s Cup – NCNC – Heineken Cup – The Star Competition / Harry Wilson — Blessington Golfing Society Weekends Away. 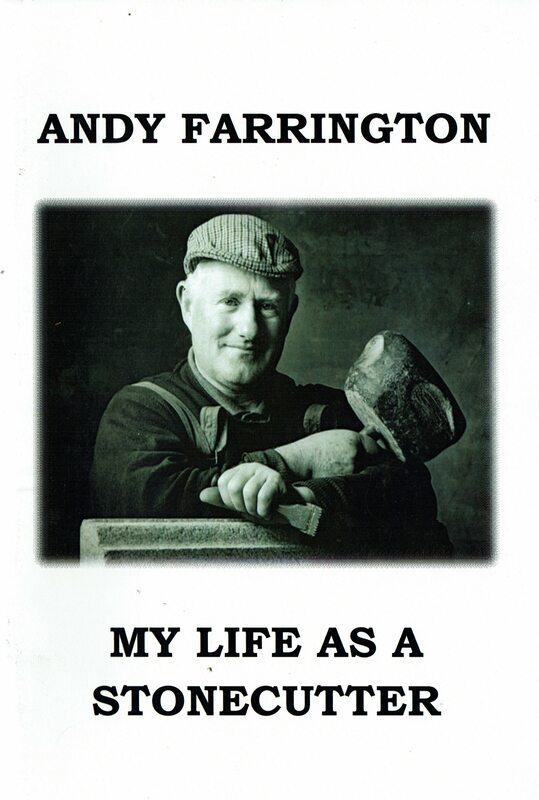 About: More than half of this nice little book is taken up with Andy Farrington’s account of a life spent as a stonecutter in Ballyknockan. The remainder of the book includes contributions from neighbours on the same topic and also looks at other aspects of Ballyknockan history. Contents: Introduction – Growing up in Ballyknockan – My life as a stonecutter – The contributions of the quarry men to the Church — The Ballyknockan Brass & Reed Band — The next generation / John McEvoy — Giant granite stone 1890 — Neddy Cullen – Working in Osborne and Brady quarry / Jim Behan – Michael Freeman’s account of his life as a stonecutter / Michael Freeman — Turf cutting — Conclusion. Extra #1: Includes thirty-seven photographs. Extra #4: View the entry for ‘Ballyknockan’ in the Placenames Database of Ireland.